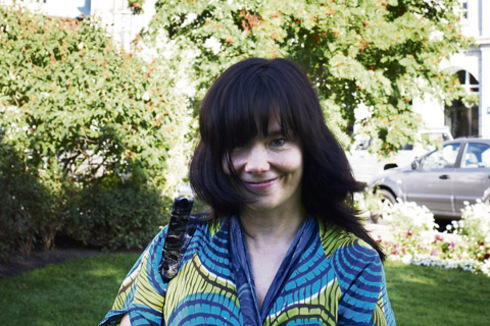 In the last issue of the Reykjavík Grapevine we published an open letter from Björk, where she lambasted the music press collectively for being sexist and not doing their homework. Her letter provoked some controversy, and generated a lively Internet debate in the blogosphere on sexism in music and the inadequacy of the music press. As an editor of a magazine that covers music a great deal, and the recipient of her letter, I decided to sit down with her to gain further insight into some of the issues she addressed. 3) “I’ll admit that one thing could confuse things : people have to use their ears (sic !) and actually read the credit list to get this information. Is this caused by sloppy journalism ? “Hmm... I think sometimes the standard is really not good enough. Something starts out as a rumour, and then that story circulates until it considered a fact,” she says and adds that she sometimes wonders why the standard in magazines on other art forms, visual arts, film and literature, seems to be higher than in the music press. “I know Goldfrapp has had the same problem. Everyone seems to think she just does vocals. She recently said that whenever she and (collaborator) Will Gregory are interviewed together, she is asked about her dress while questions about their equipment are directed at Gregory. Missy Elliott, too whenever people write about their music, they always talk about Timbaland, too. I have heard the same story from so many women, the exact same thing. M.I.A., Peaches, Missy Elliott, Joanna Newsom, they can’t believe it, but it has happened to all of them. There is a reason people don’t talk about this, as it might be the most boring subject ever, but I am willing to take it upon me if it means that in the future, journalists will do their research." Person who will program a computer to make patterns or sounds under instructions from producer, songwriter or arranger. This does not include song writing, arranging or production. Person who places microphones and wires in or around instruments and records them. This person also operates the mixing desk. Not to be confused with mixing engineer which is something different. This person will receive all the music that has been made and recorded and is responsible for all the sounds to sonically blend in the best possible way. Person who does arrangements for acoustic instruments like strings, choirs, music boxes, brass, orchestras and so on. Most often written out in “classical” scores. Person who has creative musical vision how the song should be arranged/programmed /recorded. Makes decisions which instruments should be used, what structure the song should have, what kind of performance is required from the musicians and is the leader in the studio.